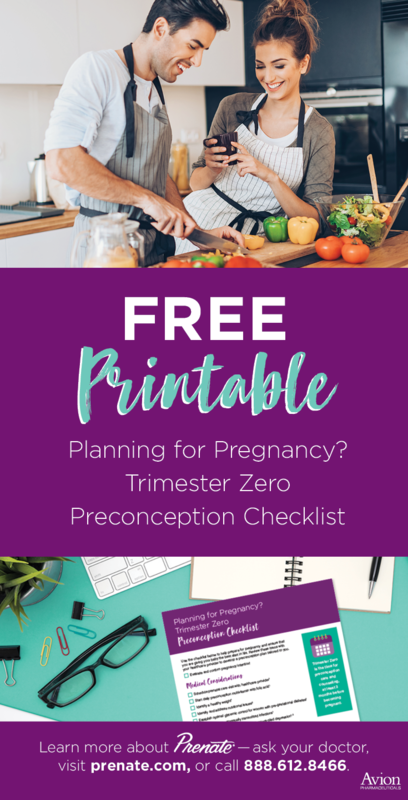 Are You Planning for Trimester Zero? Most women are familiar with the first, second and third trimesters. But many don’t realize that a critical stage of pregnancy actually occurs before conception takes place. This critical window is called trimester zero. If you are thinking of becoming pregnant, prenatal care and counseling should start during trimester zero, before a positive pregnancy test. The first step in preparing for pregnancy is to truly evaluate and confirm your pregnancy intention.1 Bringing a life into the world is a major life-changing decision that should not be taken lightly. Financial, emotional, professional and lifestyle impacts of a baby should be considered and well thought out. How will a baby immediately impact your life? What would that look like in five, ten or fifteen years? Are support systems in place for you and the baby? You should discuss your options with friends, family and your partner. 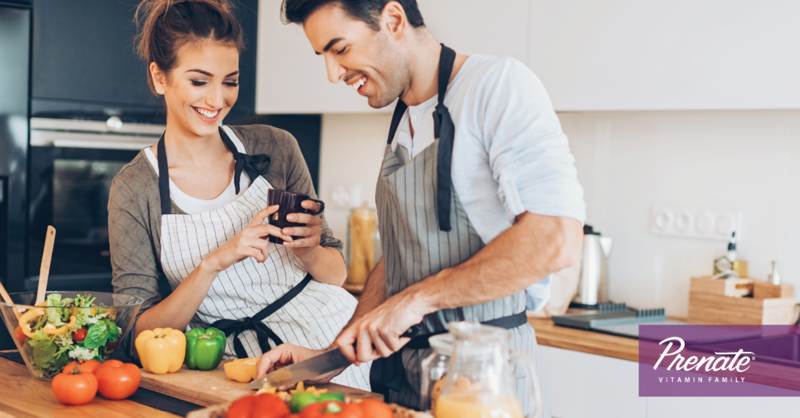 Once you have confirmed your pregnancy intention and feel confident in your decision to try to get pregnant, there are a number of medical and lifestyle considerations to review. To help prepare for trimester zero it may be helpful to review the items below with your healthcare provider to help give your baby the best start in life and develop a preconception plan tailored to you. It’s critical that you obtain the proper nutrients during trimester zero to build up reserves of essential nutrients. Once you are pregnant nutrient reserves can be depleted, as they are preferentially partitioned to support the needs of the baby. Designed for the needs of both moms and babies, Prenate® Vitamin Family helps fill nutritional gaps to prepare women for pregnancy. If you are planning for pregnancy, talk to your doctor about trimester zero and preconception care. Your healthcare provider can identify a plan and prenatal vitamin that is right for your specific needs. REFERENCES: 1. Frayne DJ, Verbiest S, Chelmow D, et al. Health Care System Measures to Advance Preconception Wellness: Consensus Recommendations of the Clinical Workgroup of the National Preconception Health and Health Care Initiative. Obstet Gynecol. 2016;127(5):863-72. 2. The importance of preconception care in the continuum of women’s health care. ACOG Committee Opinion No. 313. American College of Obstetricians and Gynecologists. Obstet Gynecol 2005;106:665–6. 3. Czeizel AE, Dudas I. Prevention of the first occurrence of neural-tube defects by periconceptional vitamin supplementation. N Engl J Med 1992;327:1832–5. 4. Prevention of neural tube defects: results of the Medical Research Council Vitamin Study. MRC Vitamin Study Research Group. Lancet 1991;338:131–7. 5. Botto LD, Moore CA, Khoury MJ, Erickson JD. Neural-tube defects. N Engl J Med 1999;341:1509–19. 6. Cavalli P. Prevention of Neural Tube Defects and proper folate periconceptional supplementation. J Prenat Med. 2008 Oct-Dec; 2(4): 40–41. 7. Scholl TO, Johnson WG. Folic acid: influence on the outcome of pregnancy. Am J Clin Nutr. 2000; 71(suppl):1295S–303S. 8. Czeizel AE, Dudás I, Paput L, Bánhidy F. Prevention of neural-tube defects with periconceptional folic acid, methylfolate, or multivitamins? Ann Nutr Metab. 2011; 58(4):263– 271. 9. Unfried G, Griesmacher A, Weismueller W, Nagele F, Huber JC, Tempfer CB. The C677T polymorphism of the methylenetetrahydrofolate reductase gene and idiopathic recurrent miscarriage. Obstet Gynecol. 2002; 99(4): 614-619. 10. National Center on Birth Defects and Development. Facts about Folic Acid. December 2014. Retrieved from http://www.nbdpn.org/docs/FactsAboutFolicAcid_English1_2016DEC14.pdf on January 7, 2017. 11. Millman, N. Review Article: Oral Iron Prophylaxis in Pregnancy: Not Too Little and Not Too Much! Journal of Pregnancy. Volume 2012. Article ID 514345 doi:10.1155/2012/514345. 12. Scholl TO. Maternal Iron Status: Relation to fetal growth, length of gestation and the neonate’s endowment. Nutrition Reviews. 2011;69(Suppl 1):S23-S29. doi:10.1111/j.1753- 4887.2011.00429.x. 13. Kamdi SP, Palkar PJ. Efficacy and safety of ferrous asparto glycinate in the management of iron deficiency anaemia in pregnant women. J Obstet Gynaecol. 2014; Early Online: 1–5. doi: 10.3109/01443615.2014.930098.